London attracts tourists and it has done for generations. The city is still an international financial hub; London has a vibrant creative arts scene and an energetic restaurant industry. But where can one stay to be within easy reach of both work and play in this cosmopolitan and magnetic corner of Europe? Finsbury Square is in central London. It is a grassy open area which was originally developed in 1777 on the site of a previous green spot near Moorfields. It’s conveniently close to the transport links of Moorgate station, Liverpool Street station and Old Street station. Lots of bus routes connect the Square with other parts of London. The 76 bus stops just around the corner, which will take a visitor past St Pauls Cathedral, down Fleet Street, past the historic Law Courts (often seen on BBC broadcasts) and across Waterloo Bridge to the eponymous train station via the South Bank with its numerous festivals. Anyone keeping an eye on trending eateries and bars in London will have discovered Shoreditch. It seems like every new restaurant or drinking establishment is opening its doors to this buzzing neighbourhood, and it’s not far away to the north. 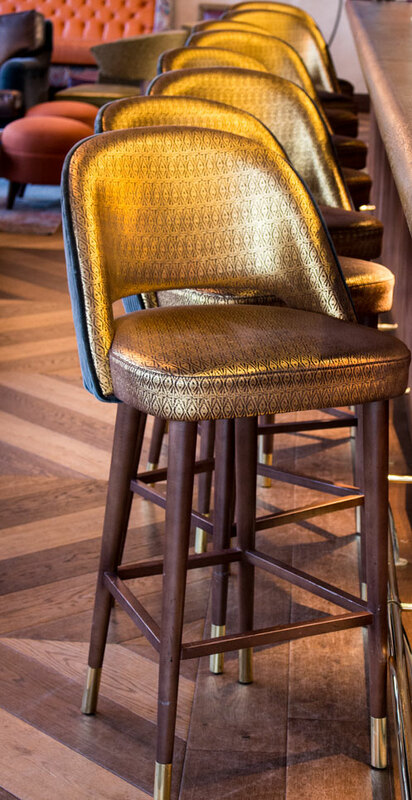 The new Montcalm is close to the financial district, offering quick and easy access for those unfortunate souls who are here to work. Go to the 10th floor Aviary bar and restaurant and stand out on the open-air terrace to see how close those iconic city buildings might be. That’s a glorious place to be on a sunny day. Breakfast is served here, and a very fine one it is, too. They offer all the usual suspects – everything from a Full English to fruit and yoghurt – but don’t miss the breakfast bars of considerable dimensions, which are packed with grains and cereals and dried fruit. This hotel exudes sophisticated chic. There is a spa, a gym (likely appreciated by those chained to the office), two restaurants, meeting rooms – everything a discerning business guest might expect from this standard of accommodation. But it’s the wall treatments and use of leather and unique light fixtures that impress. It’s rather masculine but in no way tacky or testosterone-driven. It’s a hotel that will likely have near-universal appeal. The relaxing neutral shades punctuated by dashes of bold colour and the twinkle of contemporary chandeliers speak of accessible luxury. The rooms are well-proportioned, and appointed with state-of-the-art technology and fixtures to inspire anyone considering a home-remodelling. Bathrooms are spacious with shower cubicles in which to roam in rain. The technology extends to wall-pad controls for lighting and air conditioning. All very sleek and marvellously understated. Montcalm Royal London House is very much to my taste. In the end a reviewer can only express that, and its outstanding location speaks for itself. It’s perfect for those needing access to the city; but it’s also ideal for the family which might be travelling with them. There is plenty to see and do just a short distance from the hotel, and the transport links will allow the visitor to enjoy much of iconic London from the top of a red bus. 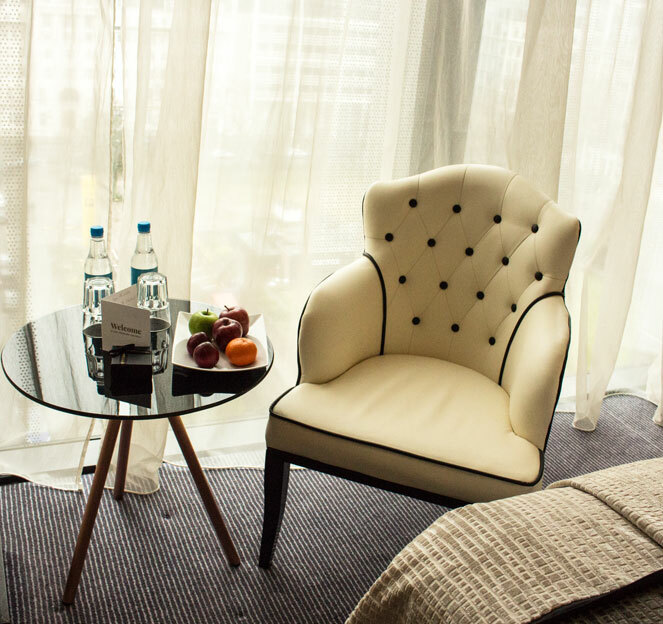 I am happy to recommend Montcalm Royal London House for its attractive and polished presentation and individual charm. 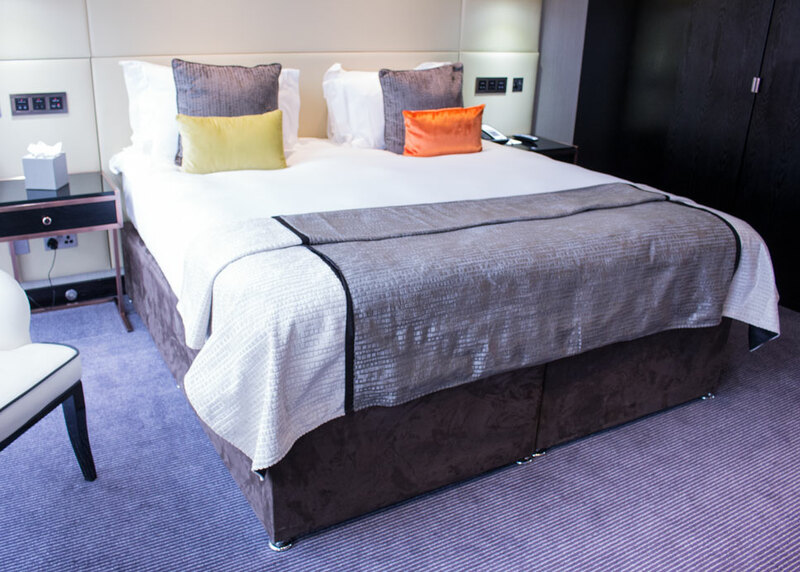 Visit Montcalm Royal London House here.